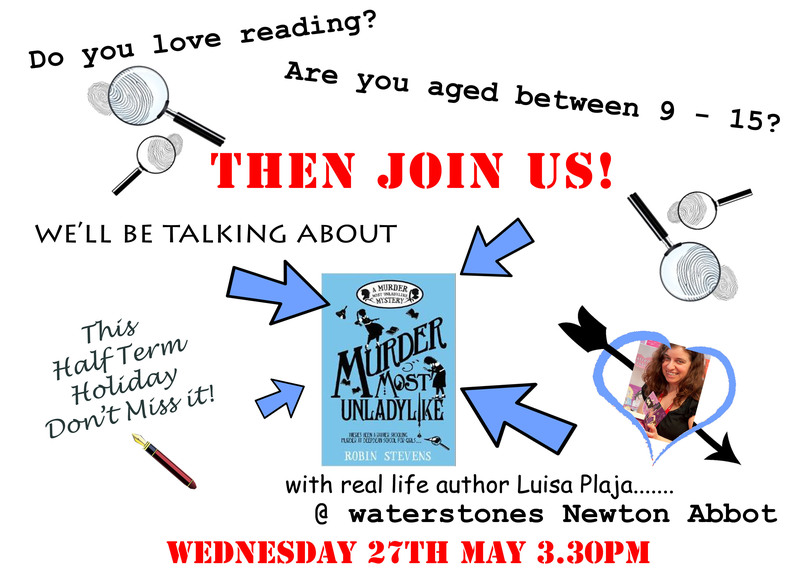 It’s already time to announce the next meeting of the Newton Abbot Waterstones Book Club, which will be on Wednesday 27th May at 3.30pm. This month we’ll be discussing Murder Most Unladylike by Robin Stevens, and lots more. Join us – it’s fun and free!